-4 Hist ..... possibly yet today. 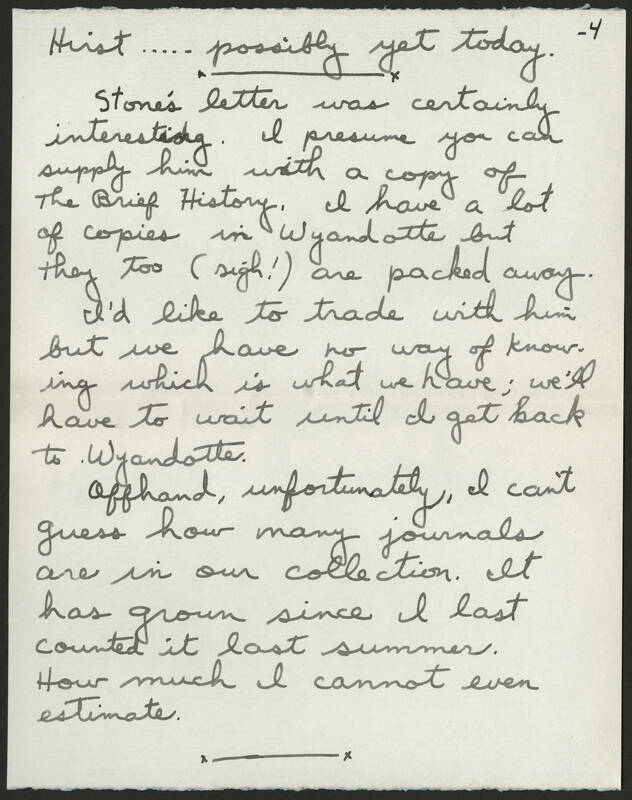 Stone's letter was certanly interesting. I presume you can supply him with a copy of the Brief History. I have a lot of copies in Wyandotte but they too (sigh!) are packed away. I'd like to trade with him but we have no way of knowing which is what we have; we'll have to wait until I get back to Wyandotte. Offhand, unfortunately, I can't guess how many journals are in our collection. It has grown since I last counted it last summer. How much I cannot even estimate.